ordinary, I now have the confidence to achieve so much more." The Wardlaw + Hartridge School values candidates who can thrive in curriculum designed for their age. Early childhood applicants will grow with our hands-on experiential learning. Candidates applying to our Lower, Middle, and Upper School should have a strong desire to achieve in the classroom and be committed to learning and developing their extracurricular interests and activities. We enroll students from a wide range of socioeconomic, geographic, racial, and ethnic backgrounds. We also proudly accept students from right here in Middlesex County, all of New Jersey, and other states and countries. Our Edison campus is easily accessible from areas like Summit, Millburn Township, Cranford, Somerset, Garwood and Bridgewater. Contact us today to learn more about applying to our early education/PreK programs or independent school for the Kindergarten, Elementary, Middle or High School levels. Click here to begin our secure online application process. Please note, you will also be asked to take further steps to finish your application including download release forms and obtain teacher evaluations. All instructions can be found on the admissions portal page. Wardlaw+Hartridge School also accepts the Standard Application Online (SAO). To learn more about using the SAO and begin your application, click here. The domestic application fee is $75; the international fee is $200. PreK 3: Applicants will be assessed on the day of their school visit. JK 4- Grade 1: All applicants must take the AABL (Admission Assessment for Beginning Learners). This test is administered by the admission staff and can be scheduled during the day visit or at a more convenient time. Grades 2-5: All applicants must take the ISEE (Independent School Entrance Examination). This test is administered by the admission staff and can be scheduled during the day visit or at a more convenient time. All test dates have a sign-in time of 8:15 a.m. However, you can take the ISEE exam at other locations. To learn about additional test dates and locations, please visit iseetest.org. All applicants will visit school and have a Wardlaw+Hartridge experience. We will arrange a visit once your online application has been submitted and processed. PreK and JK applicants will attend a Getting To Know You session. Call Admission Office to arrange a session. K applicants will visit in the morning (8:30 - 11:30 a.m.). Applicants for PreK 3 and JK 4 will visit for a half day. Applicants for Grades K-5 will visit for a full day and their assessment will take place on that day. Lunch will be provided and visitors should wear sneakers. Middle and Upper School candidates will be paired with a current student for the day visit. Lunch will be provided. The interview and shadow day will be arranged by the Admission Office once the online application has been received. 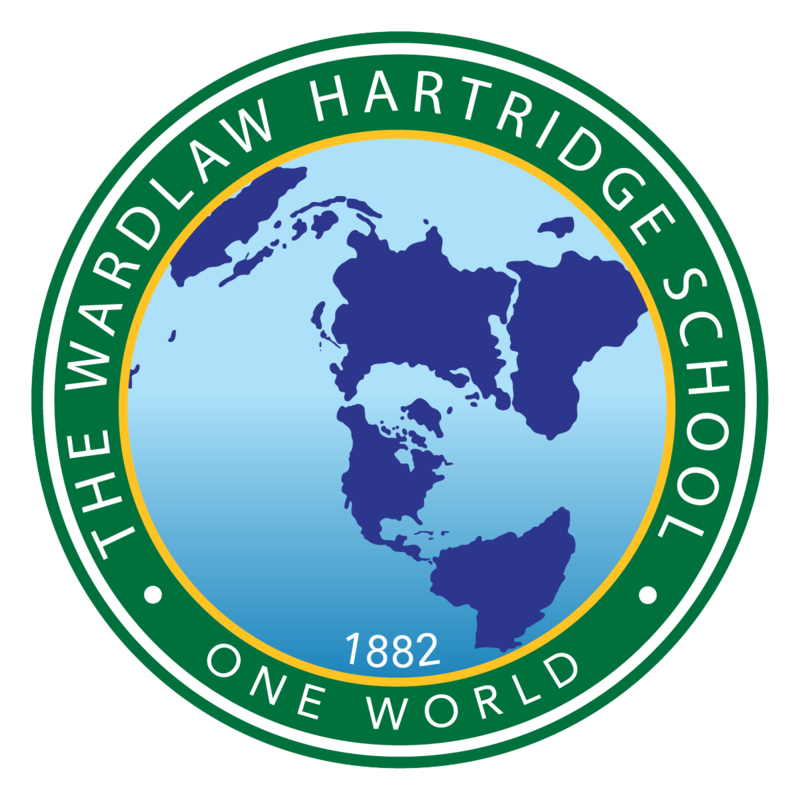 Wardlaw+Hartridge requires that the parent(s)/guardian(s) of all applicants meet with a member of the Admission Team. These meetings allow the Admission Committee to gain a better understanding of the family and the candidate. This meeting will take place on the day of your child's visit. At Wardlaw+Hartridge financial assistance is available for students in Grades K-12 with a maximum award of 50 percent for students in Grades K-5. To apply for Financial Aid go to our financial aid page for instructions. Please call the Admission Office with additional questions or concerns about tuition or tuition assistance, at (908) 754-1882, Ext. 155. TADS charges a $39 application fee. If you have any questions during the process, you may reach TADS at 800-477-8237, Monday through Friday, 8 a.m. to 6 p.m. central. You may also reach them through email at support@tads.com. Wardlaw+Hartridge has a February 1 priority deadline. Once all application materials, testing, and supporting documents have been submitted and the day visit has been completed an admission decision will be mailed to the applicant. Applications received after February 1 will be considered on a rolling admission basis. When applying after June, you must go directly to your child's school and secure the requested materials for admission. Families considering starting the admission process after the school year ends should request a letter of recommendation from the current English and Math teachers before school closes. Please request that a copy of the transcript be placed in a sealed envelope, that can be mailed, scanned, faxed, or brought directly to the Admission Office.